March 31, 2010  The International Development Law Organization is among the groups seeking funding at Wednesday's conference on Haiti. Karen Widess, a lawyer with the Rome-based IDLO, has come up with a proposal for legal reform in the country. She offers her insight. March 31, 2010  Donors from around the world are meeting at the U.N. to discuss reconstruction aid for Haiti, which is seeking $3.8 billion in pledges to cover the next 18 months. It's been more than two months since an earthquake killed more than 200,000 people and destroyed the country's infrastucture. After Quake In Haiti, Who's The Boss? March 31, 2010  Governments and international aid agencies pledging to help Haiti say they want to take their lead from the Haitian government. But the government in Haiti remains extremely weak, and in the everyday life of many Haitians, it seems to be missing in action. 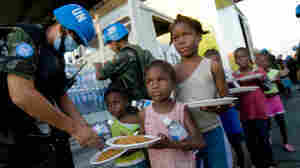 March 30, 2010  Even before the January earthquake, international aid agencies played a huge role in Haiti. As donors gather in New York to consider billions of dollars in new aid, some say past efforts to help are one of the reasons the country remains so entrenched in poverty. The U.N. is pushing for a new approach. March 26, 2010  A nine-hole golf course in Port-au-Prince is now home to 50,000 people — and an economy that includes a makeshift movie theater and a lot of beauty salons. 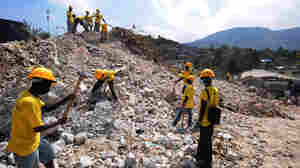 March 25, 2010  One of Haiti's most urgent problems is what to do with the estimated 25 million cubic yards of debris left after the massive earthquake in January. The Haitian government is struggling to find safe sites to dump the rubble, even as more structures are slated for demolition. March 25, 2010  The devastating earthquake that shook Haiti in January destroyed the country's already weak phone network. Now, some entrepreneurs see an opportunity rising out of the rubble. John Stanton — whose company owns the second-largest mobile carrier in Haiti — thinks Haiti should go copper-wire-free. He says the country should forget rebuilding the old system, and instead build a more robust cell phone network. Robert Siegel talks to Stanton about his idea to leapfrog land-line technology. March 24, 2010  Senior members of the Obama administration met with Mexican officials Tuesday to pledge support for that country's war on drugs. Mexico continues to spiral into a cycle of violence among warring drug cartels as support from the U.S. hinges on a new approach: less military support and more civilian defense. But after years of failed policy, some wonder if the strategy is too little, too late. Guest host Allison Keyes speaks with reporter Dudley Althaus, who lead's the Mexico City bureau for the Houston Chronicle. March 24, 2010  Rajiv Shah took over as head of the U.S. Agency for International Development (USAID) just days before the earthquake that crippled much of Haiti. The destruction sent his agency into crisis mode. 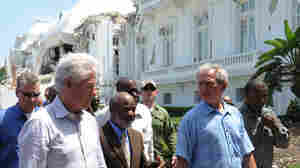 Shah talks about the response in Haiti, and USAID's global role. March 23, 2010  Robert Siegel talks to NPR's Michele Kelemen about Secretary of State Hillary Clinton's visit to Mexico today. Her visit comes just two weeks after three Americans associated with the U.S. Consulate in Juarez, Mexico, were murdered by a drug cartel. The meeting will focus on narcotics smuggling and the violence that accompanies it. March 23, 2010  Ask Haitians for an example of someone who was born poor and became rich, and they all come up with the same name: Mathias Pierre. 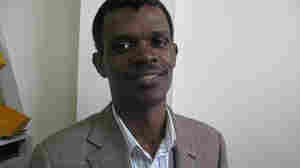 Pierre grew up profoundly poor without electricity or running water, but he thought big — and became a Haitian miracle. 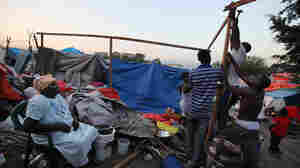 March 23, 2010  For weeks, the Oscar-winning actor has been among the thousands of people living in a crowded tent camp in Port-au-Prince, Haiti. Right now, Penn says, his aid organization's biggest concern is relocating the people in the camp before heavy seasonal rains hit. 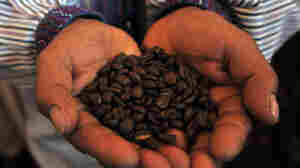 March 22, 2010  Growers recently gathered at the World Coffee Conference in Guatemala to share concerns about what will happen if the weather changes in the places where they have produced coffee for generations. Because coffee plants are sensitive, many growers are trying to prepare for the possibility of a warming planet. March 21, 2010  The Chilean capital, Santiago, withstood last month's 8.8 magnitude earthquake remarkably well. But mental health experts say the earthquake and the powerful aftershocks that followed it are having strong psychological effects, particularly on children. March 20, 2010  Two months after the earthquake, Haitians are now facing the long, hard slog of trying to rebuild their lives. NPR's Katia Riddle brings us snapshots of several people facing the question: "Where do I go from here?"